Clif Bar at its heart is a food company. And we’re lucky enough to work with and support some of the most inspiring changemakers in the industry – individuals on their own personal journeys that align with our commitment toward making a healthier and more sustainable food system. This is one of their stories. Sara Clow’s path to helping preserve the way of life for small and mid-size farmers in South Carolina began thousands of miles away on foreign soil. A stint in New Zealand in 2004 as a WWOOFer (Willing Workers On Organic Farms) farm volunteer cemented her desire to be involved with farming. 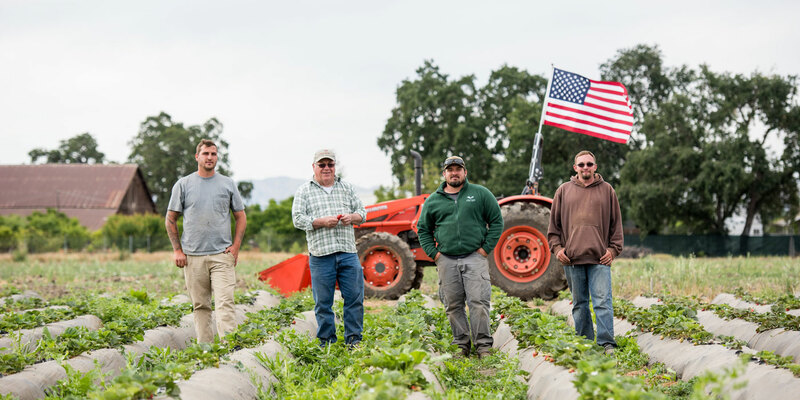 Sara returned to the United States, where she had left behind a not entirely fulfilling career in finance in San Francisco, hoping to become a farmer. She worked at local farms several days a week and spent the rest of the week selling their produce in city farmer's markets. “I did that for about six to eight months and really enjoyed it,” Sara recalls. “But one day one of the farmers said to me, ‘Sara, you’re not going to be a farmer. You have no land, no money and you’re a little too old'—I was 30—'to start. You are an exceptional marketer—when you sell my produce for me at the market, I’ve never seen such energy and passion around it. I think you can be more helpful for farmers in another sense.’” That turned out to be great advice, and led Sara into a career of marketing for farmers. 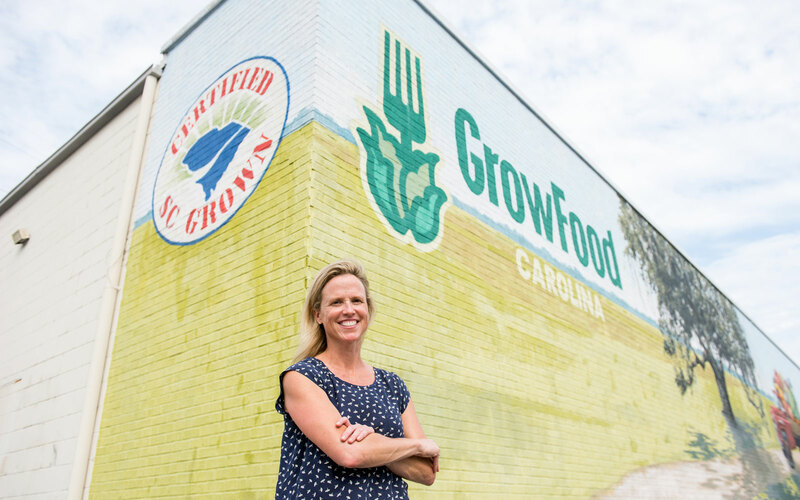 In 2011, through a consulting gig and fortuitous college connection, Sara was recruited for and accepted the job she holds today: general manager of GrowFood Carolina, South Carolina’s first food hub, which she launched that year in Charleston as the entity’s only full time employee. 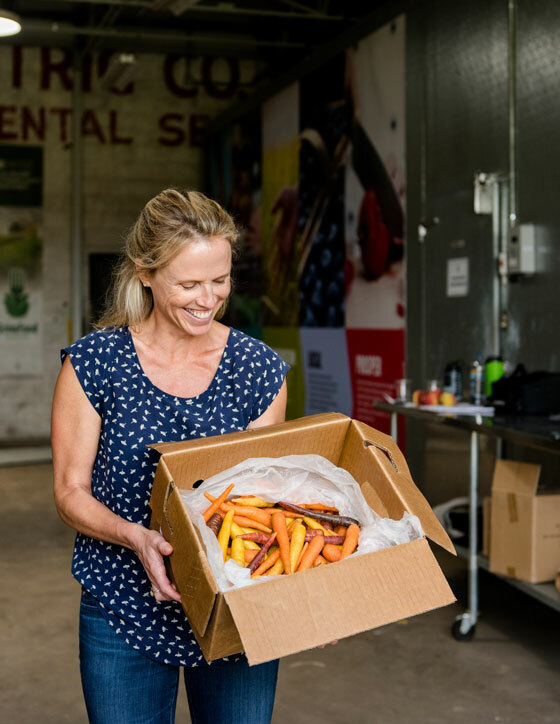 Food hubs—Sara says about 300+ now exist in the United States—help farmers more efficiently move their products to market and highlight the value of a local food system. 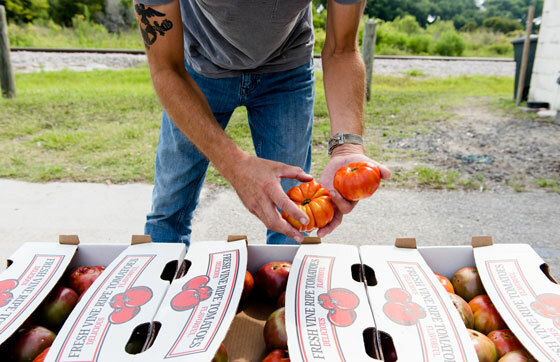 GrowFood Carolina provides small and mid-size farms across South Carolina with sales, marketing, logistics, warehousing and distribution functions they need, functions that had before only been available to large-scale industrial farms. A project of South Carolina’s Coastal Conservation League (CCL), GrowFood Carolina sprouted out of CCL’s concern that the state’s small family farms were disappearing. In the 1990s, hundreds of acres a day were being converted to urban uses, putting South Carolina among the top 10 states for rural land loss. 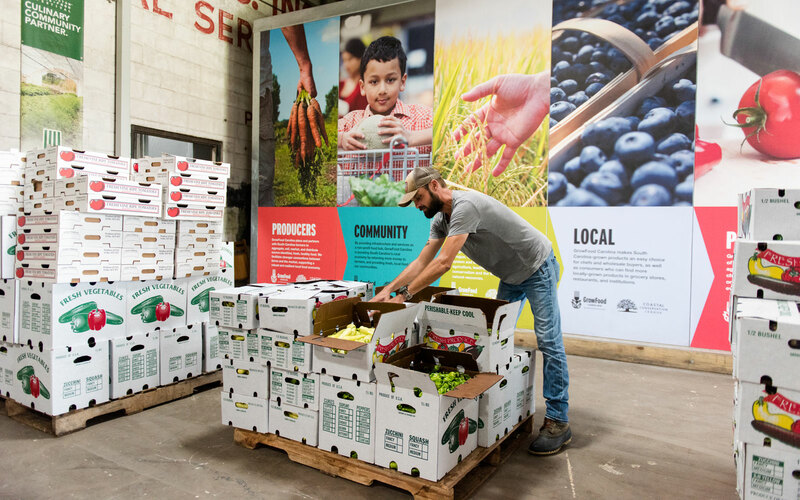 Today, more than 80 farms deliver their fruits, vegetables, nuts, grains, dairy products, and honey to GrowFood Carolina’s 6,500-square-foot warehouse with large-scale cooling capability, where each box is inspected and stickered to ensure not only single-source traceability, but also to build the brand for each farmer. GrowFood Carolina’s staff then puts on its sales and marketing hat, selling the products to around 150 of South Carolina’s restaurants, grocery stores, universities, bodegas, food trucks, and corporate cafeterias. 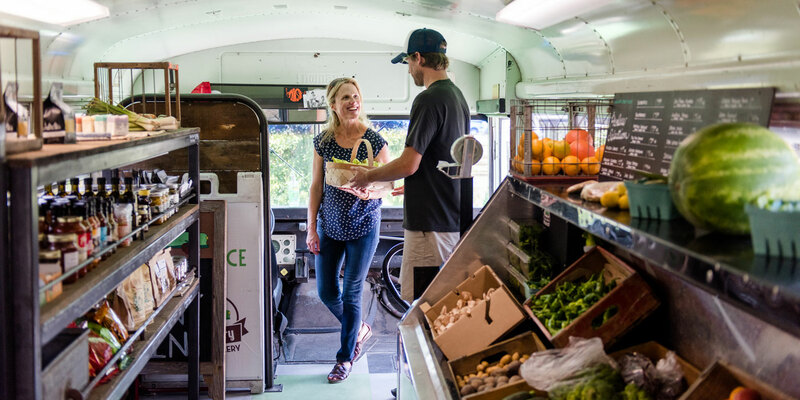 Finally, GrowFood Carolina delivers the products to the buyers in refrigerated trucks and vans within a 30-mile radius of Charleston, and utilizes regional partners to distribute beyond. The organization, which visits every farm it works with, also provides crop production planning for farmers, advising them on market demand for everything from rice to corn, okra to collard greens, and yellow squash to tomatoes. GrowFood Carolina works with each farm on a consignment model—keeping 20 percent of the sales revenue it generates from selling their products and returning 80 percent to the farms. 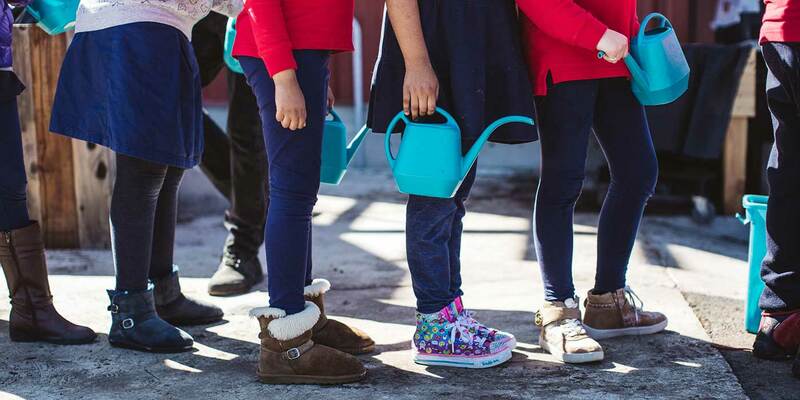 In addition, GrowFood Carolina, as a non profit service organization for farmers, relies on grants from foundations such as the Clif Bar Family Foundation, as well as the U.S. Department of Agriculture, and individual donations. To date, GrowFood Carolina has returned more than $3.5 million to the state’s small and mid-sized farmers—having started working with just five farms back in 2011. Its efforts bolster a rural economy, conserve and preserve farmland from urban development, and makes it possible for more fresh fruits and vegetables, among other items grown in the state, to be eaten locally. In the future, Sara would like GrowFood Carolina to support more family farmers who want to transition to organic, especially to meet a growing demand for organic grain. Of the 80-plus farms her group works with, just six are certified organic.